Llandudno is the largest resort in Wales and has a style all of its own. Much of the town is Victorian in origin and this gives it an air of elegance and slightly faded charm. The town has a promenade which fringes the long sandy beach between the twin headlands of Great Orme and Little Orme. A cable car and a railway lead to the top of Great Orme where you can get excellent views along the coast in both directions and inland towards Snowdon. There are two main beaches at the resort; North Shore which is directly in front of the town and has donkey rides, Punch and Judy and boat trips and the pier. In contrast, the West shore is quieter, with miles of sandy shoreline backed by sand dunes, with superb views westwards along the coast towards the Isle of Anglesey and Puffin Island. Alice Liddel, who was the model for the heroine in Lewis Carroll's book Alice in Wonderland, used to spend the summers in Llandudno with her family. There is a white rabbit statue in the town as a tribute to the book and Alice. There are plenty of attractions and cafes within the seafront area - lots for both kids and parents to do. 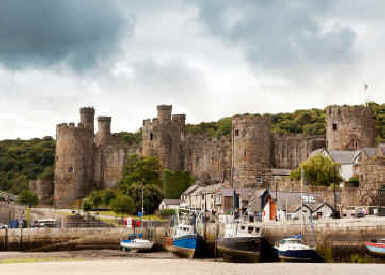 Nearby is Conwy, on the banks of the River Conwy, it is a tiny town with a massive castle and one that is a World Heritage Site. Conwy Castle was built by the serial castle builder Edward I, as part of the 'iron ring' to defend against the unruly Welsh inhabitants. The castle is reckoned to be one of the best medieval castles to survive and is well worth a visit. Conwy has a large harbour area which can accommodate up to 900 craft if the marina is included. Conwy Bay is a poplar place for both local and visiting sailors and becomes quite crowded in summer months. 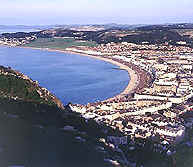 Colwyn Bay is just along the coast from Llandudno and is an major Welsh resort. Colwyn Bay has an award winning beach with three miles of golden sand, great for sunbathing on and beach games, or alternatively take a leisurely stroll along our beautiful unspoilt promenade with its wide walkway, and enjoy some tasty refreshments at the various little kiosks conveniently situated along the way. There are also separate slipways situated along the promenade for fishing, sailing, and jet skiing. 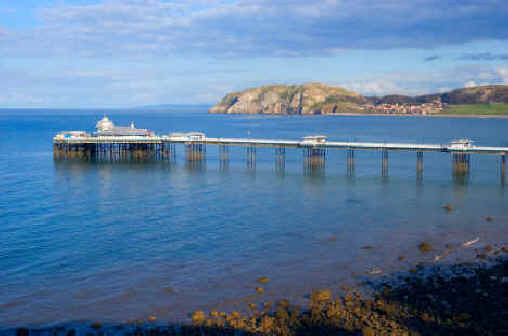 The Victorian Pier in Colwyn Bay celebrated its 100th birthday in June 2000.